It's no secret -- I'm a product junkie. I love the thrill of the chase -- discovering new products and brands, re-imagining old favorites, and everything in between. When the opportunity to try out Mielle Organics came knocking, I couldn't say no! 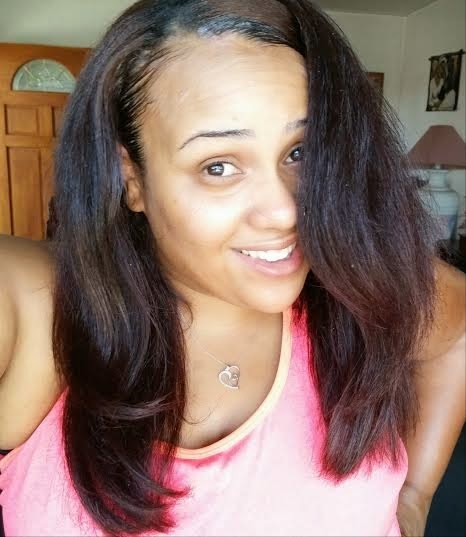 Founded by waist length textured hair beauty Monique Rodriguez, and vouched for by curlies with gorgeous manes, Mielle Organics is a budding small business brand aimed at helping ladies of all textures and hair types grow long, healthy hair. With a focus on simple ingredients and getting back to the basics of haircare, Mielle Organics aims to nourish, strengthen, and protect hair at each stage of growth. The Mielle Organics line consists of the Honey Dew Berry Detangling Co-Wash, Almond Mint Oil, and Healthy Hair Formula vitamins. I had the opportunity to try both the Co-Wash and Almond Mint Oil. How did these products stack up against some of my favorite cowashes and oils? Find out below! 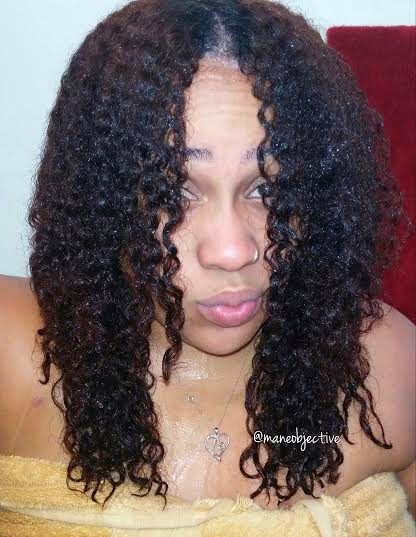 I used the Mint Almond Oil to add shine to my straight natural hair! Head on over to NaturallyCurly.com to read my review of the Honey Dew Berry Detangling Co-Wash and the Almond Mint Oil!